As part of our commitment to helping organizations, coaches, and parents transform baseball experiences, we want to offer an opportunity to book a call with Coach Steve Nicollerat, the founder of Coach Baseball Right. No matter if you're an organization or league administrator, facility owner, a coach at any level, or a parent, we're here to help you. 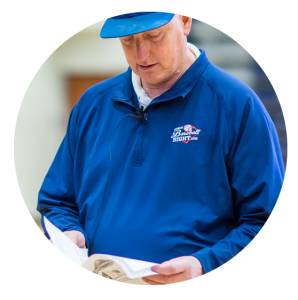 Here are a few topics Coach Steve has discussed and helped organizations, coaches, and parents with - hitting instruction, practice structure, alternative tee ball experience, program design, umpiring, fielding, certification, and much more! Click the button below and choose a time to discuss any baseball or coaching related issue or topic that you want and Coach Steve will get back to you. I look forward speaking with you one on one.